There's a hot new crypto coin linked with luxury travel out there: HoweyCoins. 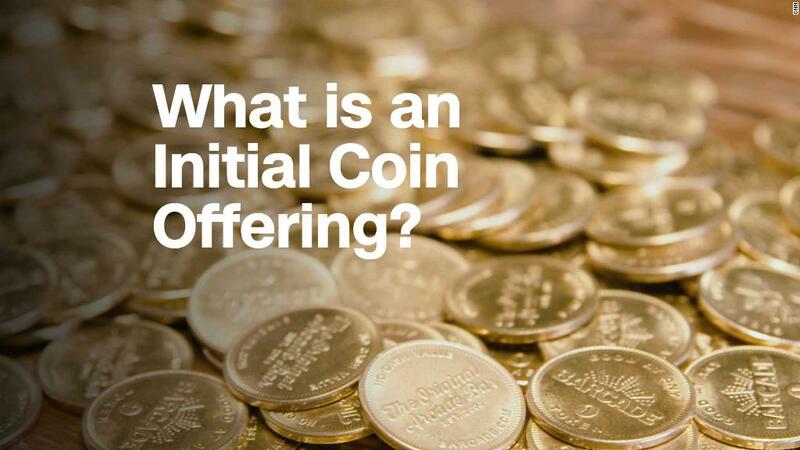 But this initial coin offering isn't going to earn you anything more than a better understanding of how crypto works and a warning about scams. This mock ICO — or initial coin offering — is a creation of the Securities and Exchange Commission's office of investor education and advocacy in an effort to teach people about the dangers and pitfalls of investing in cryptocurrencies. The goal of the project is to acquaint investing novices with signs of fraud before it's too late. "The rapid growth of the 'ICO' market, and its widespread promotion as a new investment opportunity, has provided fertile ground for bad actors to take advantage of our main street investors," said SEC Chairman Jay Clayton in a statement. "We embrace new technologies, but we also want investors to see what fraud looks like, so we built this educational site with many of the classic warning signs of fraud." Related: Young people are drawn to cryptocurrency. But what about the risks? The site, HoweyCoins.com, mimics a coin offering, proclaiming, "Combining the two most growth-oriented segments of the digital economy — blockchain technology and travel, HoweyCoin is the newest and only coin offering that captures the magic of coin trading profits AND the excitement and guaranteed returns of the travel industry." Anyone who clicks on "Buy Coins Now" will be led instead to investor education tools from the SEC and other financial regulators. "Fraudsters can quickly build an attractive website and load it up with convoluted jargon to lure investors into phony deals," said Owen Donley III, chief counsel of the SEC's office of investor education and advocacy. "But fraudulent sites also often have red flags that can be dead giveaways, if you know what to look for." The HoweyCoins site hits on several tell-tale signs of a scam. Guaranteed returns? Check. White paper with wordy-but-vague explanation of the investment? Check. An anxiety-inducing countdown clock? Check. Celebrity endorsements? Check. While those attributes don't necessarily mean the offering is bogus, it's wise to be aware — and skeptical. The website's name, HoweyCoins, is a bit of an investor inside joke. The name is a reference to the Howey test that's used by law enforcement and regulators to determine whether a transaction is an investment contract. In a landmark 1946 US Supreme Court decision, SEC v. W.J. Howey Co., the court held that a transaction is an investment contract or security, if, "a person invests his money in a common enterprise and is led to expect profits solely from the efforts of the promoter or a third party." Investors need to beware and be informed. That the SEC was able to build the HoweyCoins website in very little time, shows just how easy it is for someone to create a scam opportunity. A free and reliable way to ensure your money is safe is to research investments and the people who sell them, according to the SEC, and to visit its consumer website, Investor.gov, before investing.